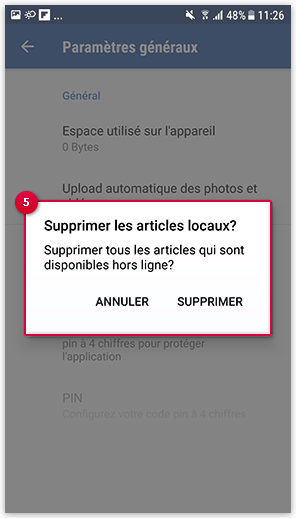 Offline elements are saved in the app storage as a copy, so they use storage space on your device. You can delete all offline elements at once. 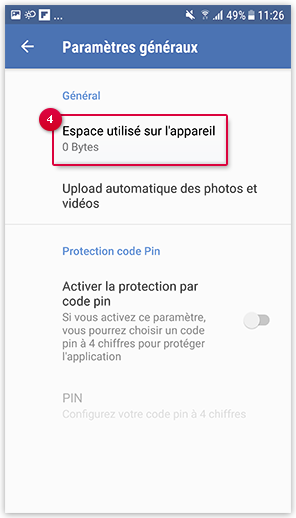 Please notice that if you are using the GMX File Storage App for Android with multiple accounts, all offline elements are deleted for all accounts if you do the following steps. Tap General and Storage space. If you want to delete all offline elements, confirm with Delete in the window Delete local items?. The storage space is free again. All offline elements were deleted. They were just copies, so the original elements are still in your File Storage.